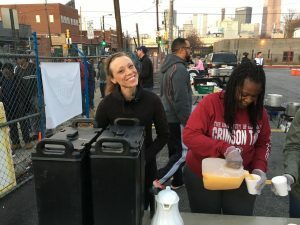 Every Saturday morning, in downtown Atlanta, FTHP leads a volunteer crew in preparing and serving a hot breakfast to 175+ of our friends on the street. 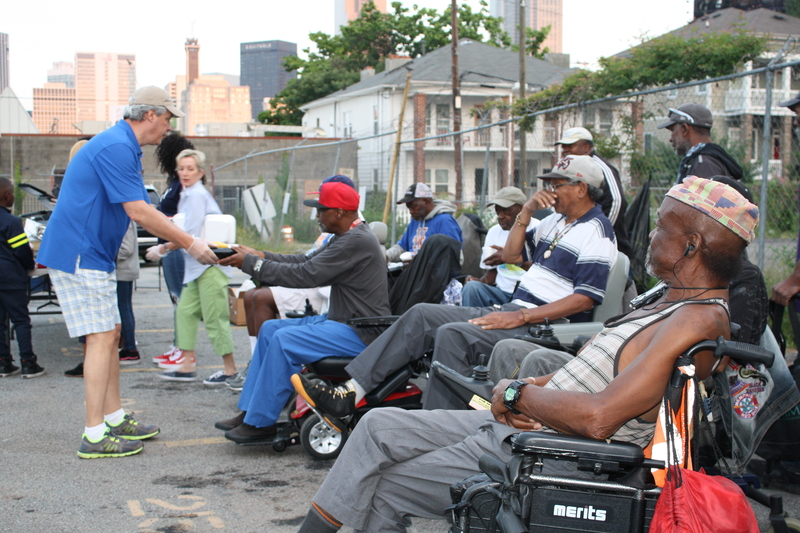 We don’t judge or criticize the reality of those less fortunate- we just feed people. 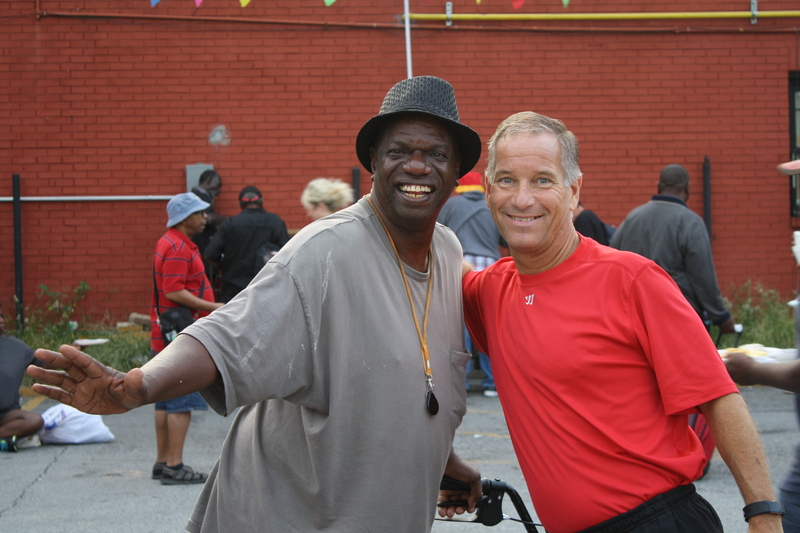 That attitude over the past ten years has produced tremendous returns for both our volunteers and the people we serve. 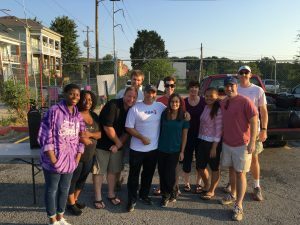 And we invite you to serve with us. 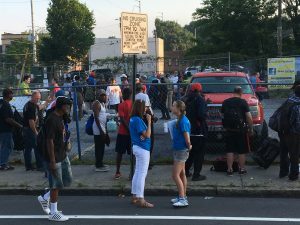 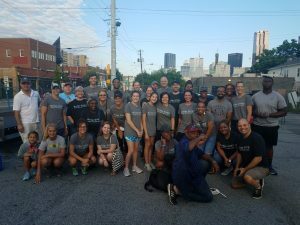 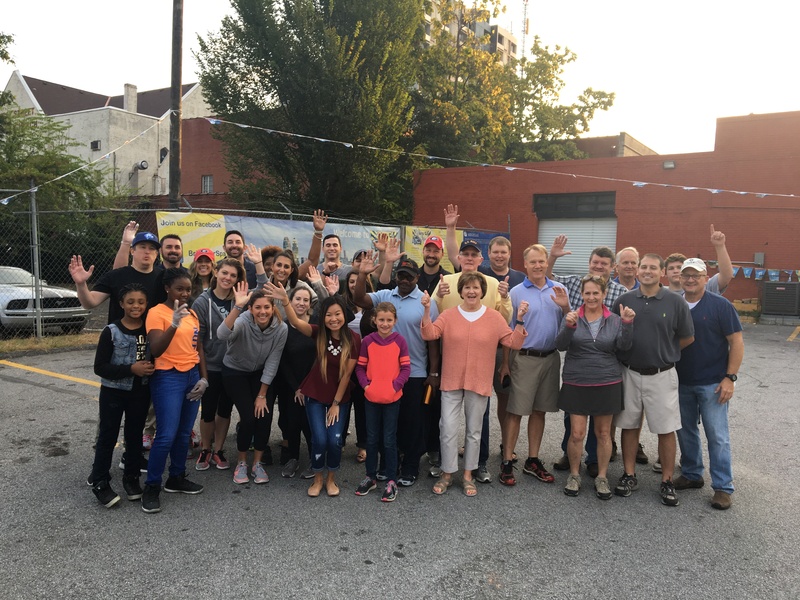 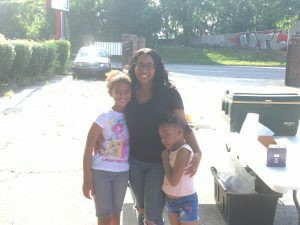 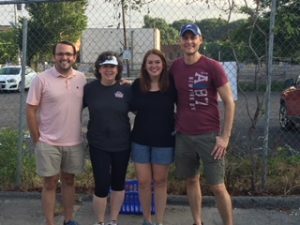 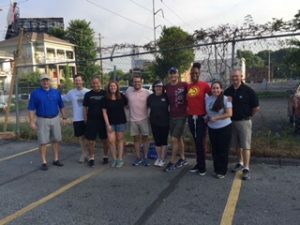 Feeding the Homeless Project, Inc. (FTHP) has evolved from a grass roots effort among a few passionate friends and colleagues who began by flipping pancakes one morning on a street corner in downtown Atlanta. 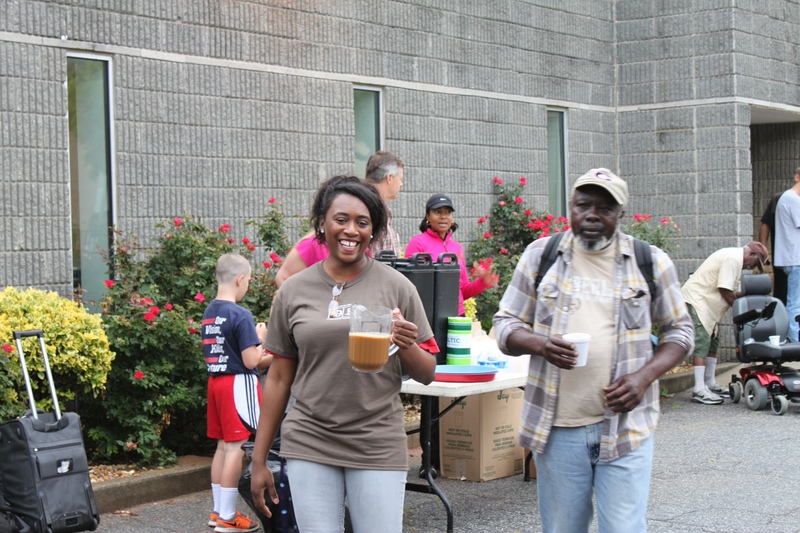 Our primary funding source is through sponsorships of our weekly breakfast feedings. 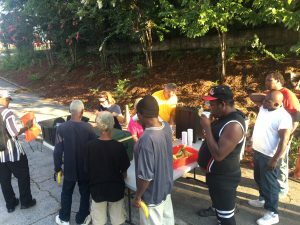 Any company, community group, church or even a group of neighborhood friends or family members can donate. 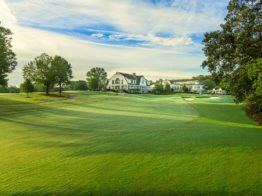 FTHP is planning another golf event for April 2019–this is a great opportunity to support our mission, play a spectacular course and share an enjoyable day among our sponsors and our leadership team. 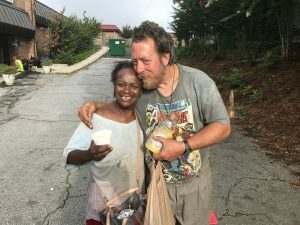 We invite you to serve alongside us on the street for an up close and personal experience with the homeless men and women on the streets of Atlanta. 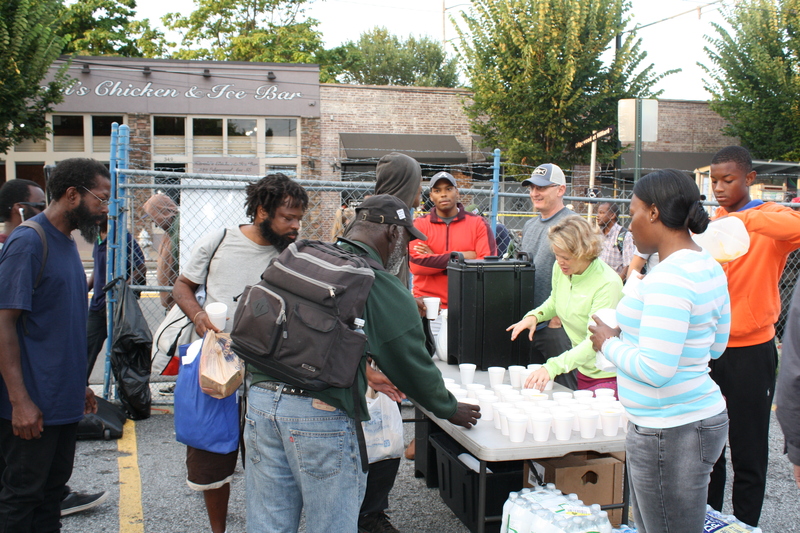 On the first Saturday of each month, our feedings are open to all volunteers. Join us at 6:20 am at The Varsity (corner of Spring Street and North Avenue) for a brief orientation provided by our Team Leaders. 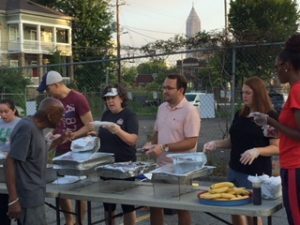 Then follow us to our feeding site where you’ll help us prepare and serve hot breakfast to 175+ of our friends on the street.